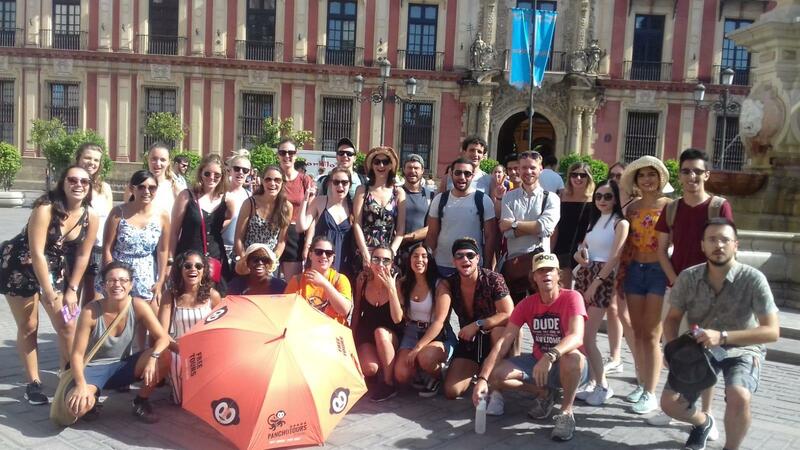 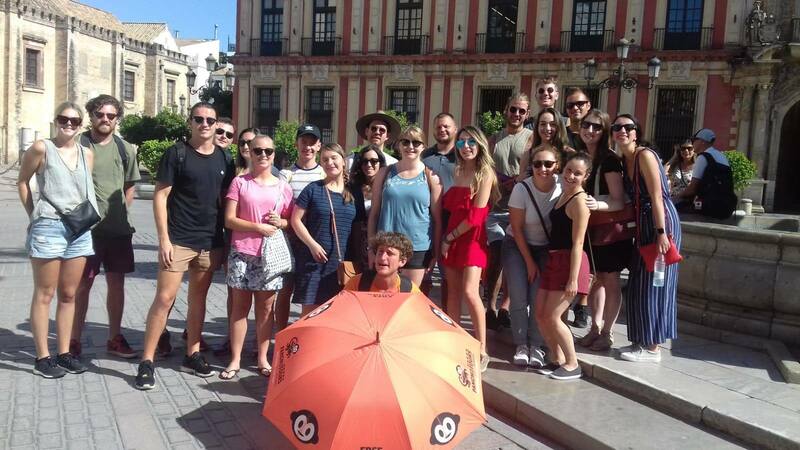 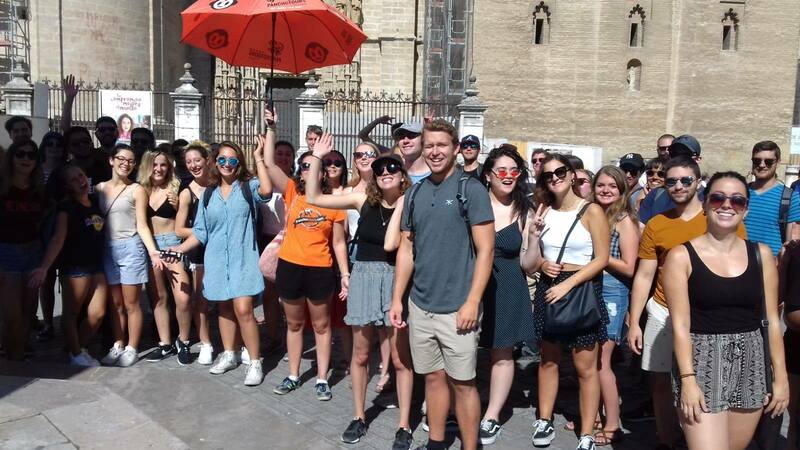 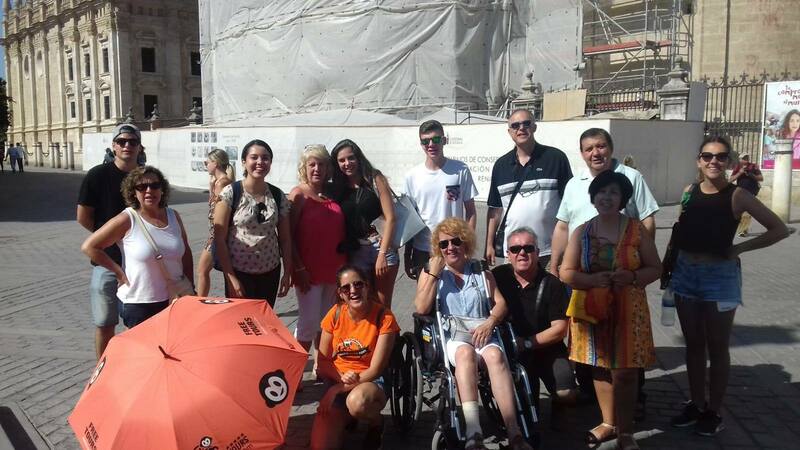 Since 2009, Pancho Tours organises free guided tours of Seville with local guidesexperts. 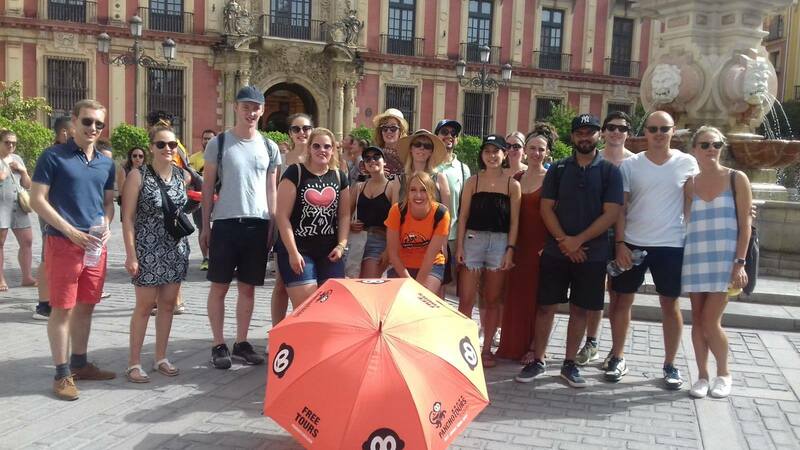 We can proudly say that Pancho Tours has been the pioneer in creating the FREE TOUR concept, here in Seville, where we offer the best walking routes in the city. 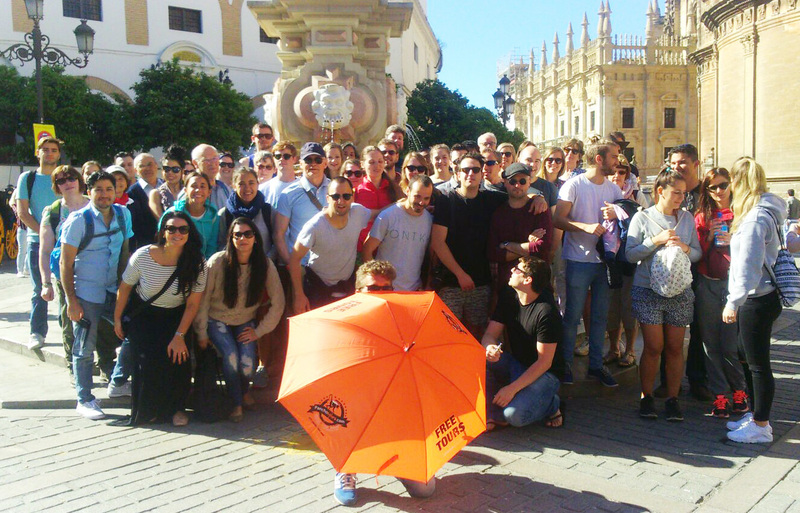 Pancho Tours is present not only in Seville but also in Cadiz, Jerez, Madrid, Malaga, Cordoba, Granada, Porto and Lisbon. 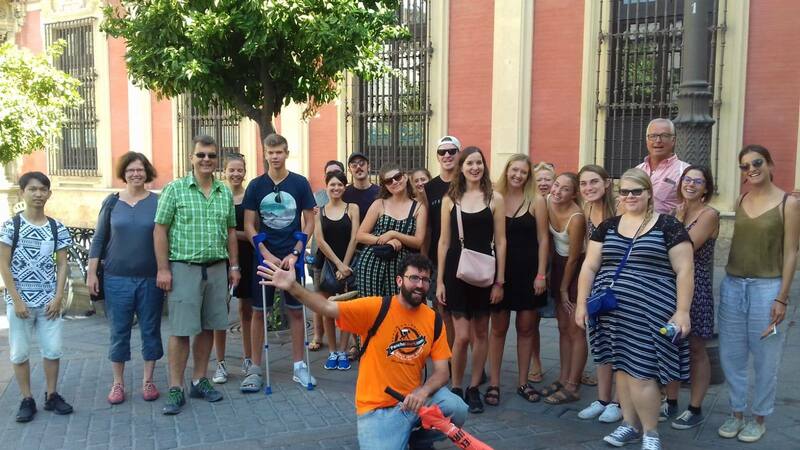 During our Free Tour you will be accompanied by a local guide who will show you around the city in a fun and captivating way. 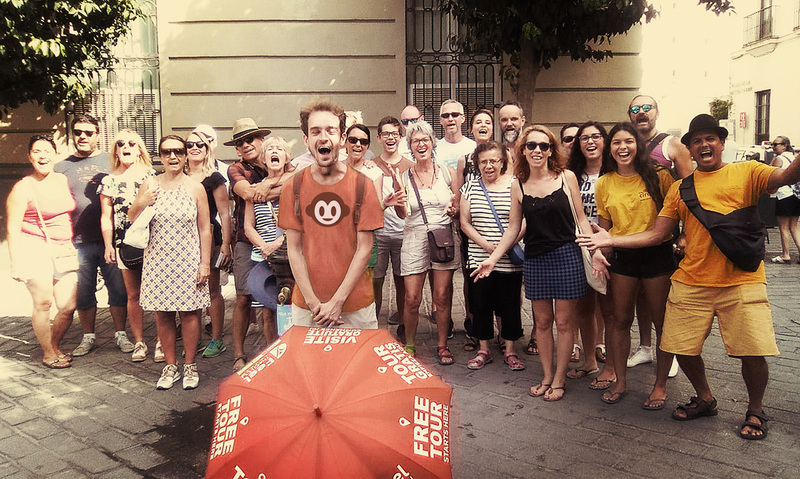 Surely this is the best way to discover all the secrets of the city, which we may otherwise miss when exploring on our own. 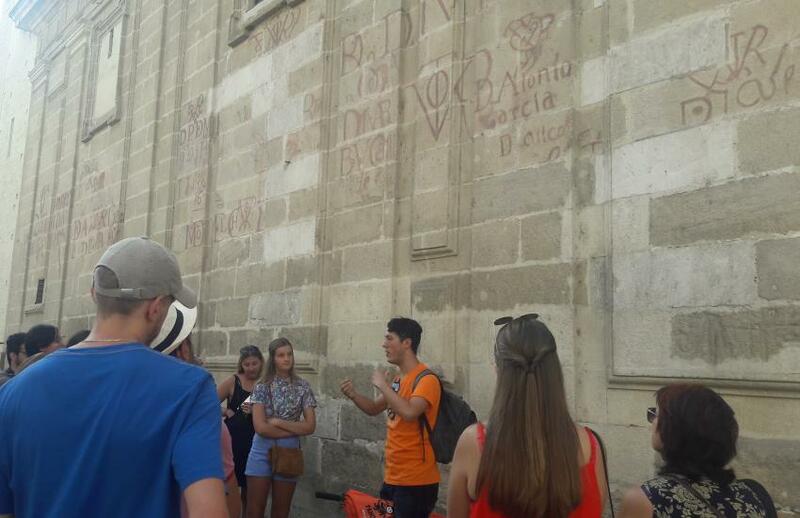 The walking tours last approximately 2 hours and are available in several languages, including Spanish, English and French; throughout the visit you will walk through the main streets of historic center seeing the city's most outstanding monuments. 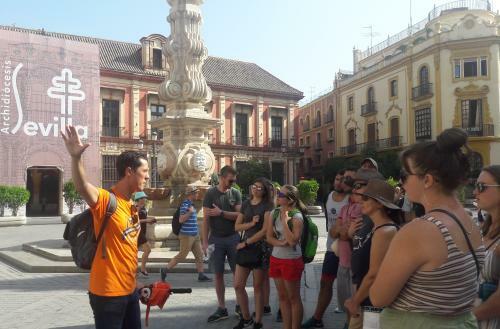 Our guides are experts in different sectors, such as History or Art, and above all they are very friendly, so we assure you that you will enjoy a high quality tour. 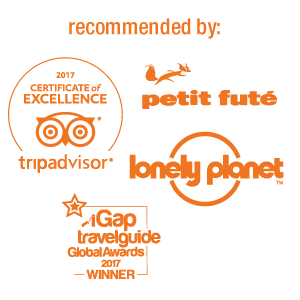 The guides benefit exclusively from the tips of the travelers and that is why they will put all their heart and desire to make you enjoy this small route on each tour. 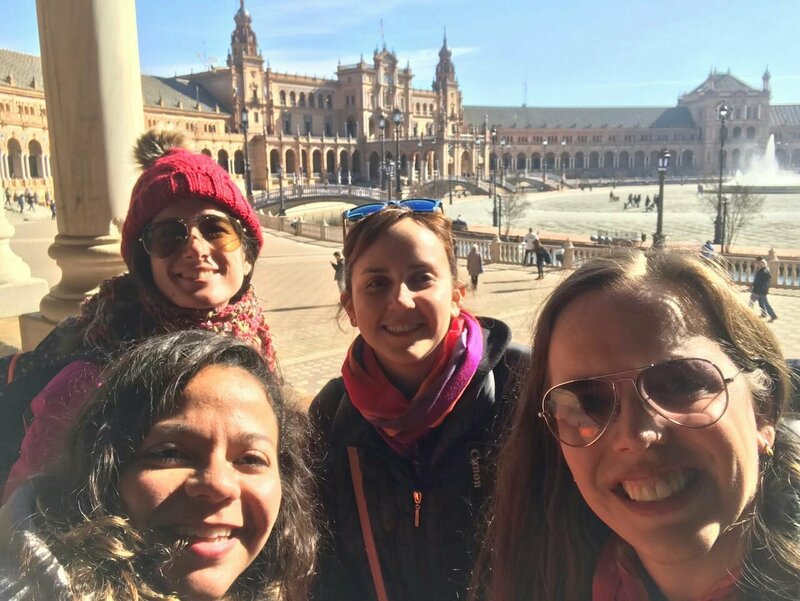 At the end of the tour you are free to give as much money as you want based on how great you found the quality of the tour, so you will be the one who will value the work of the guide. 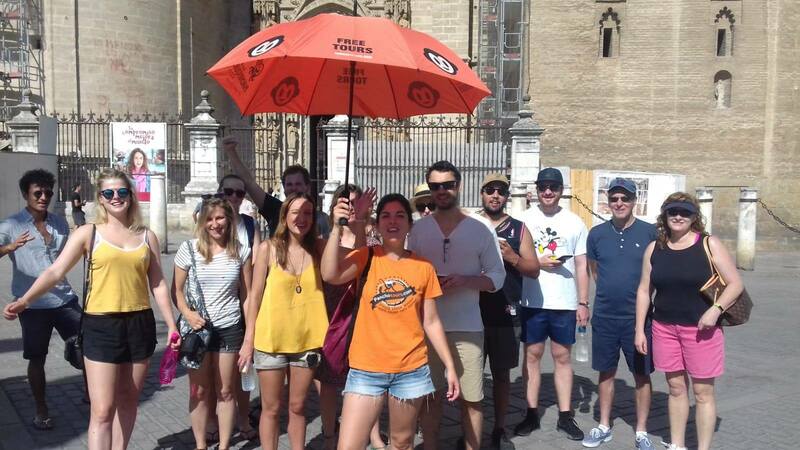 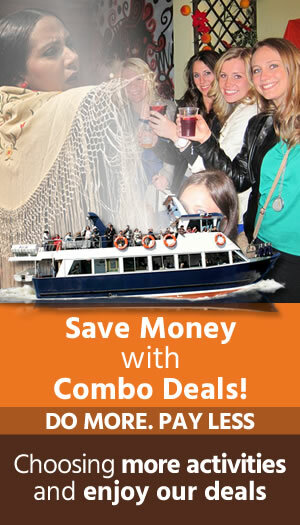 City Lovers, apart from Free Tours, we offer more routes. 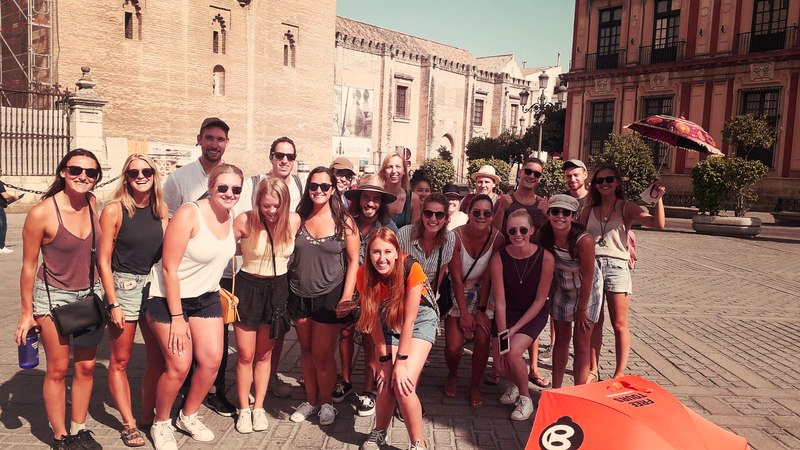 Among the most recommended ones that may interest you before you leave Seville are the: Flamenco tour, Tapas and wine tour, our tour of the Cathedral and Alcázar, the Santa Cruz tour, our super Pubcrawl to see Seville at night or a very pleasant boat trip on the River Guadalquivir (the extra warmth will help us....). 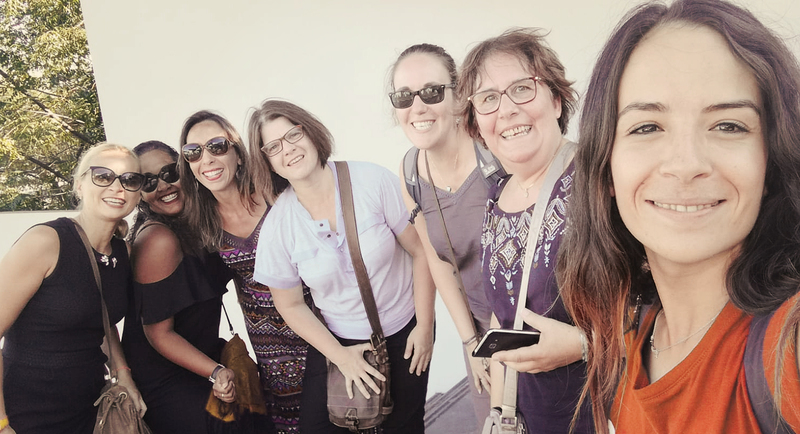 On Twitter, Instagram and Facebook, you will be able to see photos from tours and share them on your social networks if you want to show them to friends. 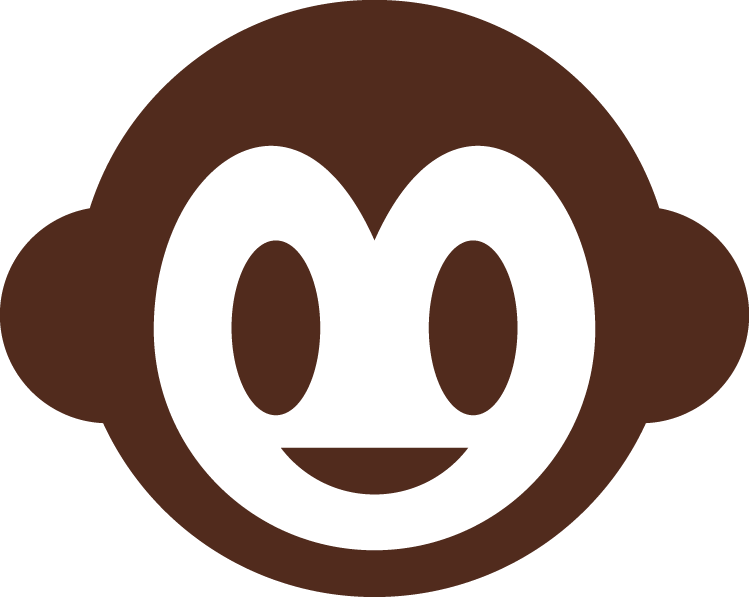 Since we do the same in Pancho and are able to understand, if one of you wants to receive a specific photo, you can ask our community manager who will send it for free.